Impressed by Rimple’s knowledge about music and how it affects us scientifically and the way she has weaved 90’s music (Bollywood, Albums and International music too) in a fictional story which has the flair of traditional India and Indianness; we’ve thought that it would be interesting to know Rimple better. And we approached her. Fortunately, the things worked out positively and I got a chance to have a Q/A session with her :). So, without further delay, let me present it to you. I definitely feel joyous about my first book. Especially because it has a musical angle to it. I have always been very fond of listening to music and get lost in this beautiful soulful world. And it is a privilege to be an author of FIRST MUSICAL NOVEL ever. It is a kind of cliché question, obviously, you are feeling joyous, accomplished and happy, but, each time we are able to follow our passions the way we want to, we feel, inching more towards completeness. Do you think so? Or in addition to these feelings, it motivates you to tell more and more stories 🙂 ? Yes. I have lots of stories to tell. Will take up one by one. All my stories have a strong message for human kind. Like the first book speaks about lost art of writing letters, lost art of expressing feelings, lost art of communication and more importantly lost art of listening to music and connecting to someone at an emotional and spiritual level. Nowadays everything is just social media status update. What are the real feelings? And music can be a wonderful source of getting in touch with your own feelings. That’s why the characters are so beautifully connected to each other and themselves in the book. When feelings, emotions, music, etc. are so beautiful and soulful, I could not give dark shade to any. I come from a very simple middle-class family and I am an entrepreneur. Though I have my degree in BMS, I am more attracted to subjects like sociology, psychology, neurology, anthropology, religion, etc. basically anything that helps me with a deeper wisdom of what it means to be a human being. I am passionate about reading all these subjects, reading, writing, music and spending some quality time with myself. I think it is a very powerful medium. When I was in ninth grade, somehow this thought of becoming an author came to me. I started writing and realized I am done in one page. Then I wondered how do people write so many pages. And my curiosity led me to understand the process of writing and here I am an author today. 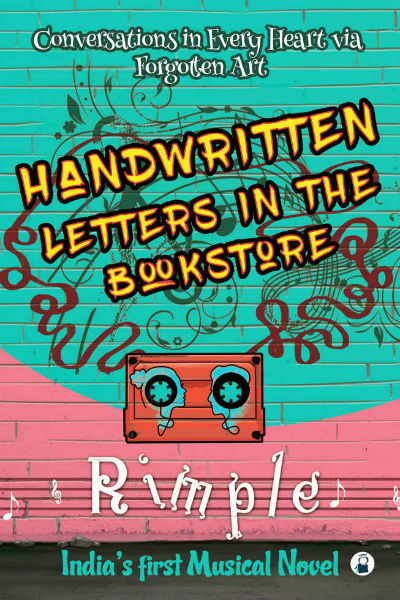 Can you share what made you write Handwritten Letters in The Bookstore and what are the major challenges you faced when writing this book? Actually, the book talks about things which are less talked about (1) the losing tradition of writing letters with pen and paper; and (2) Music. So it is interesting to know your vision behind these elements and combining them. He knew that he had never allowed himself to feel anything good or happy while being busy with work. What’s the point of happiness if you didn’t allow it to be with you and let it vanish in a few moments like switching between two phone calls? And we don’t even allow to feel it when we go for a party or celebrate in group. Feeling is the process of being connected to oneself. The challenge in the book was communicating small-small things in the book in a very simple language. While many reviewers were reading the book, I realized, that so many have skipped noticing those small-small things because they have too many books to read and review. This was my first experience so I can get to know how people actually connect to reading. Very few people got connected to the text about reading in my book, how reading is not diminishing but the mediums are changing. People don’t have time to read books but can reading a 2 liner on social media because it is not time consuming and relatively in a very simple language compared to literary language. That is one of the main reason to write a book in as simple language I can. Then another thing is how stories connect minds, how reading a book is a private theatre, connecting at spiritual level conversation between characters, meaning of songs like yeh ishq hai, safarnama, etc. Amazing to know :). I especially like your analogy expressed through “how reding a book is a private theatre”. Can you share which segment of the book you enjoyed writing more in Handwritten Letters In The Bookstore? Everything! Because every element in the book is something I am deeply connected to – books, movies, pen and paper, handwritten letters, music, Mumbai, singing, 90s stuff as I am also a 90s kid. etc. The overall experience of writing was delightful and nostalgic. It was like a treat. I am an impulsive writer. I don’t plan anything – no chapters or outline. I simply go with the flow. And I write when I have no disturbances that is at night from 11pm to 4am. I was 100% involved in the book cover. I think besides author; no one can know the book better. Authors connect to the book 100%, readers may connect to some part, they may not connect to some part. Firstly, it was very long. After writing the book, the biggest task I had was to collect various NOCs as you can read in the disclaimer of my book. Then sending the content to the legal team and check on copyright infringement. The whole thing was tedious and time-consuming. The way you’ve explore the family ties and the bond of love among almost all the relations, is remarkable. Can you share your thoughts about it? The way you developed characters in the book, is impressive. They are strong regardless of their gender. And, that is how it should be. Which character did you enjoy more in exploring? Also, can you share something interesting which you consciously infused as an attribute in any specific character(s)? I loved exploring the character Taashvi. I had a hard time deciding her past, her profession, which social cause I should take for her, her likes and dislikes, etc. She is a perfect example of how someone can be mature and responsible as well as fun. Her conversations like – I am not an activist but a responsible citizen and her straightforward communication about how it is important to have profits in business. It is exploring from different angles – imagine a surplus in the hands of Mother Teresa and surplus in the hands of Osama. Her profession of creating memories, working for society benefits as well as teasing Rajvir. Her thoughts about Mumbai, trust and intuition, etc. Different aspects were to be communicated in different ways. Can you share anything regarding your prime characters (or any specific attribute of them) which you’ve taken from real life? The art of listening to music – they are my views on that song and Taashvi’s love for Mumbai. Naming the protagonists “Vol-de-mort” and “Joker” both of which referred to possibly the most dangerous antagonists (or villains), is interesting! How did you come up with it? Is there a reason/story behind naming them so? I do have a reason behind it. But you will have to wait till my next book. I have answered it in my next book. It has already on the editing table today. The reason is more psychological and so is my next book. Sure, looking forward to read it. You must have done remarkable research about Music, social work and the way NGOs work. Can you share details about it? To be honest, music part did not require much of time. Because, every song and its meanings or its description mentioned in the book have always been on the tip of my finger. As I said, I am really fond of music. Yes, the neurology part of it was something I have always been reading in bits and parts since college days. While writing the book I did do thorough research again to bring the best in my book. 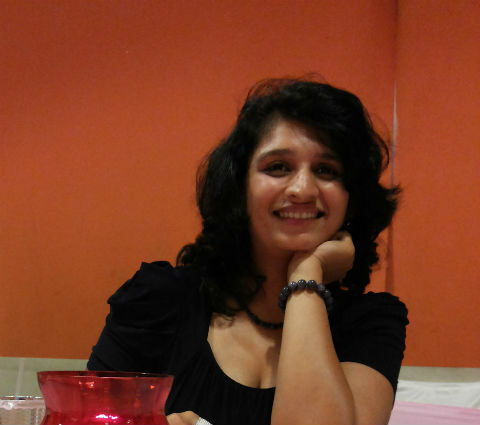 About the social work, I am myself involved in different social works related to Mumbai. But to take up eunuchs issue came to me from nowhere. It just clicked. And I am glad that it has shaped up well in the book. I had to do research on eunuchs history and that was something new for me as well. The strength of the book is these small-small conversations between the characters. You seem to be a nature lover and a responsible citizen. Can you share your thoughts about the small things we can do in our daily lives which help keeping both the nation and the nature, intact and nurtured? Yes. I am a nature lover. But the nature is not limited to natural resources like trees, water, etc. It also expands to human nature. While we have many social workers for nature outside, there is only one worker for the nature inside us and that ‘YOU FOR YOU’. To keep the nature outside us clean, we can do small things like not littering around, not spit on the roads, etc. To keep the nature inside clean, I had to write a whole new book (my next one) which will be out soon. Every book affects its author in some way. How do you think writing Handwritten Letters In The Bookstore affected you? I think the way I now connect to books and music is on another level. There’s a saying – “teaching is learning twice“. While I knew the power of these things subconsciously, while writing it I have learnt it to sharpen these skills. What are the USPs of Handwritten Letters in The Bookstore according to you? The strength of the book is these small-small conversations and interaction between the characters. The best way to read this book is to read line by line rather than focusing on overall plot. The plot I think is not so uncommon, the detailing is unique and unusual. I think this book is a perfect example of the hindi proverb – “Ishq toh baaton se hi hota hai janab“. I myself had fallen in love with these interactions while I was writing. That’s why this book is so simple. When the characters are conversing, there is a genuine feeling and expression and nothing at superficial level. This is reason I mentioned in my preface that this book will definitely bring a smile on your face. Many would love to have these one to one conversations if they find their similar kind. All the books and authors mentioned in HANDWRITTEN LETTERS IN THE BOOKSTORE are my favorite. Besides that, I like reading history, mythology, psychology, some fictions (not romantic novels – I haven’t read any), philosophy, self-help etc. genres. I like reading different genres but not management types. Right now I am reading Myth=Mithya by Devdutt Pattanaik and Paulo Coelho‘s the Manuscript found in Accra and planning to re-read Percy Jackson series by Rick Riordan. What are your hobbies apart from your work, writing and the music? Late night driving, watching movies and reading. What do you think about video trailer of the book(s) which are almost inevitable part of marketing these days? This was my first book and I decided to try a video trailer. I am still wondering if they work or not. I think it is more about personal preference. But I still think that it cannot replace the feeling one gets while holding a physical book in hand, smell it, feel the paper texture etc. If a generation have started directly with E-book, they should try physical book. It is like difference between holding a picture of your loved one and holding their hand in your hand. There is a feeling and sensation in the physical touch which e-books can never replace. There are conversations about switching to e-books to save environment. I would rather say, every one tree you cut for paper, plant 10 trees. We instead are only cutting and cutting. According to me, they spread more fear than awareness. Can you name the real life people/fictional characters which inspired you? Socrates, Sigmund Freud, Hitler, Nietzsche, etc. in real life people. I know Hitler may sound strange but his atrocities really inspired me to learn more and more about Human behavior. I am expanding this in my next Psychological fiction which is on the editing table now. Batman and Bane in fictional characters. Dionysus and Krishna in Mythology. Just write. Do not entertain the reasons that stop you to write, no matter how serious and crucial they are. Actually no. I was less than a year old when my grandparents died. And my parents were not at all into stories, etc. They themselves are not well-educated. But they used to send me to Jain Paathshalas and Gujarati Swadhyaya’s where I started loving mythology and from there I picked up my own journey of learning different subjects. If you happen to read this book, go slow and cherish the conversations between the characters. Allow the feeling of being Nostalgic to stay and not jump to other things. Whole book is about enjoying the moment. And Thank you for reading this book :).